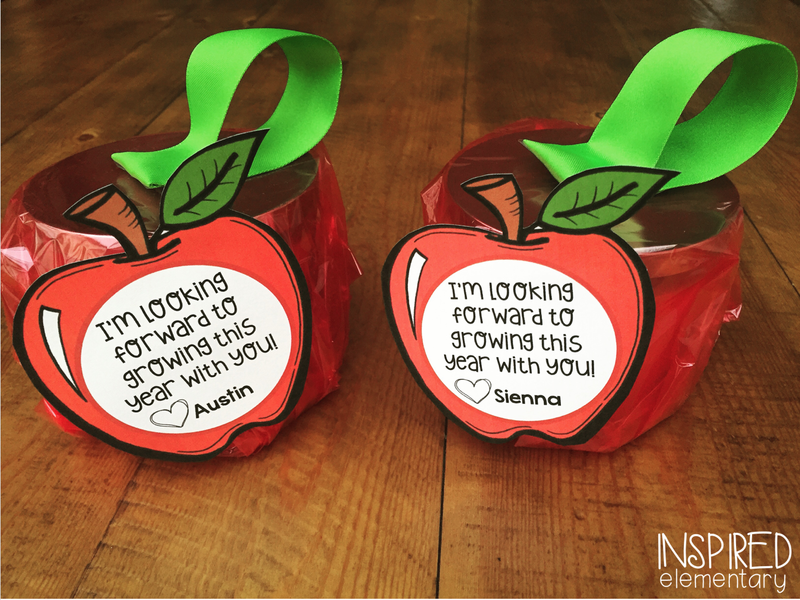 I wanted to share some cute apple tags that I made for my kids’ teachers this year. I thought it would be fun to put a twist on an “apple for the teacher,” so I snagged up some large, three-wick, apple scented candles from Bath and Body Works. 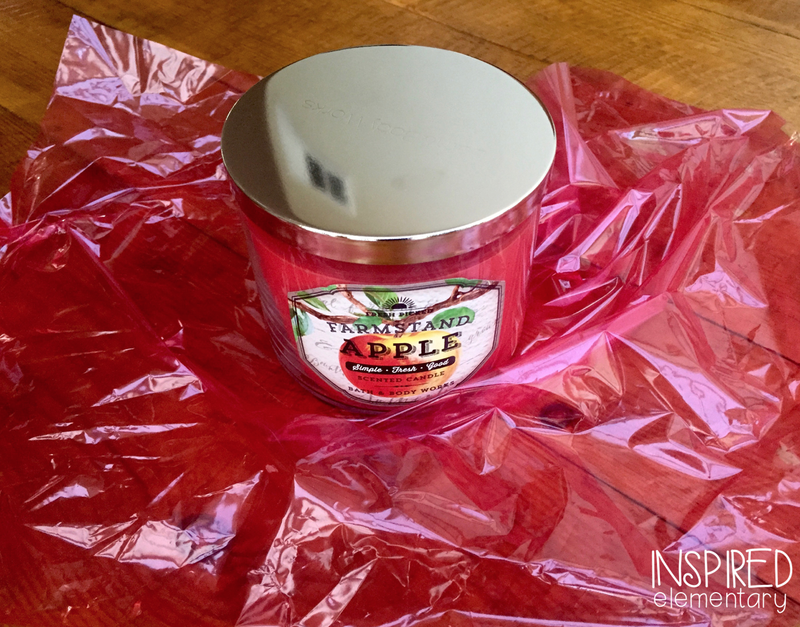 I wrapped each apple candle in red cellophane paper and taped a green ribbon “stem” on top. Then, I attached a cute apple note to each candle. 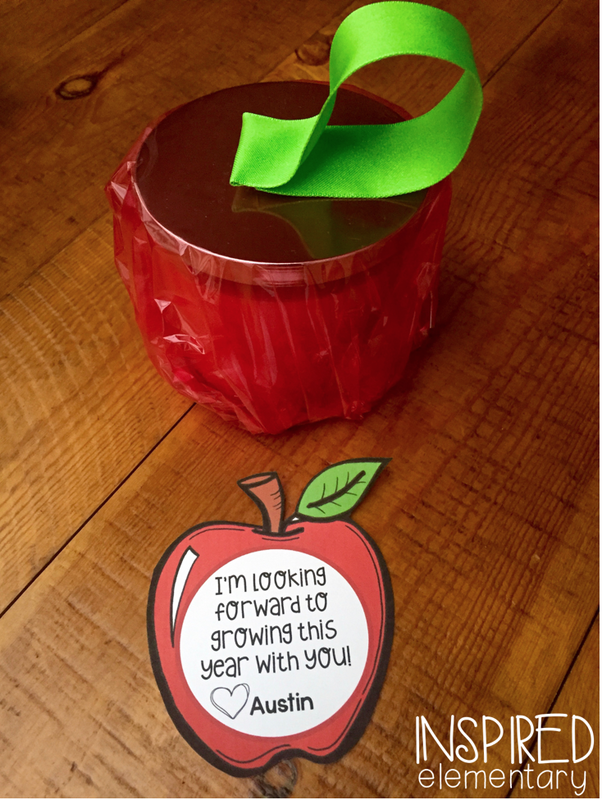 This apple candle idea would be cute for teacher appreciation week, too! 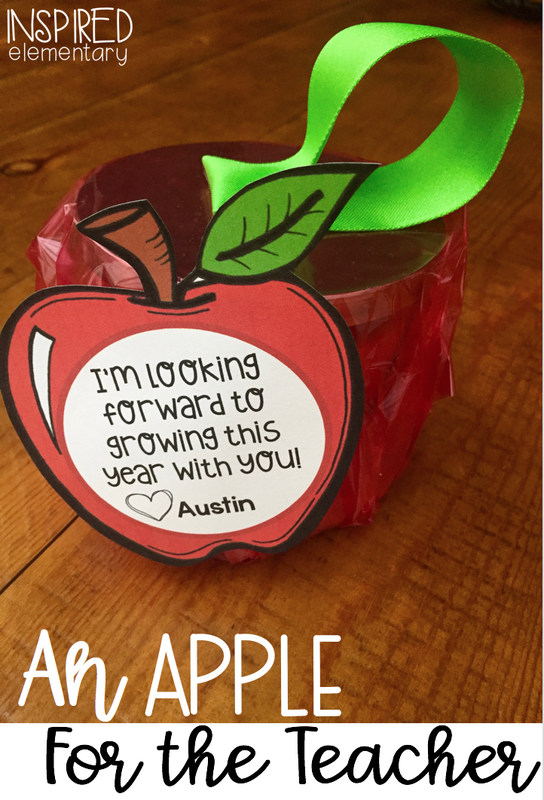 So I have included three APPLE TAG TEMPLATES for you, one that can be used for the beginning of the year, one that can be used for the end of the year, and a blank tag. As always, I love seeing your pictures on Instagram, so please tag me @inspiredelementary if you make these adorable candles.